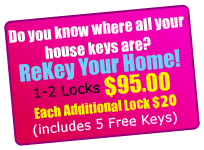 Mr. Locksmith has keyless lock entry systems for every budget. For our business clientele, we have the commercial grade high-security keyless entry, capable of programming dozens of access codes on a timetable schedule, all built around your master code. 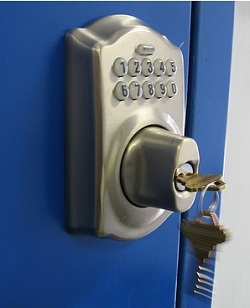 For our residential clients we carry UL listed residential deadbolts in a keyless lock entry system.